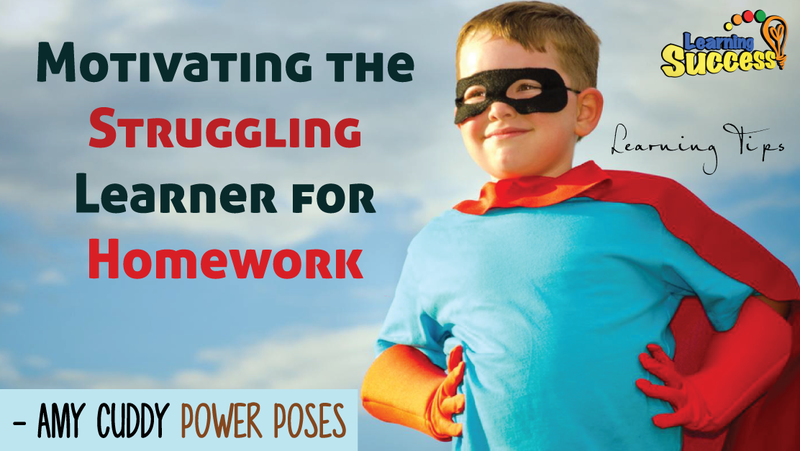 For the struggling learner, homework time can be the worst part of the day. Parents struggle with children to get homework done. 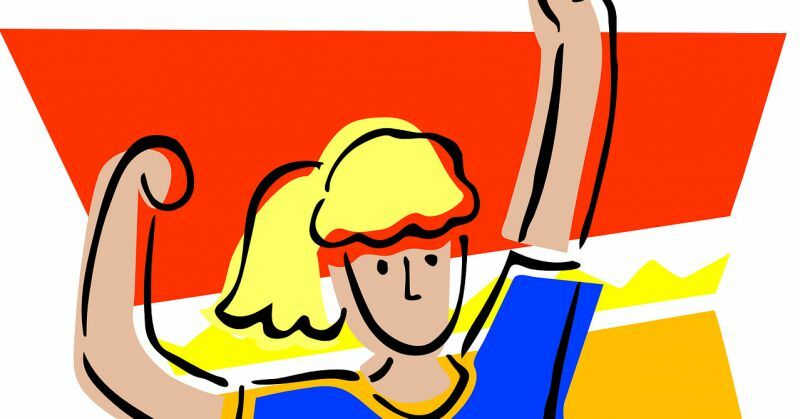 This simple trick can change the mood and help a child feel more ready. Do this exercise before every homework session and reap the rewards. Learn how to get in the mood for homework. Could one weird simple posture trick help you to get your child to do their homework? Not this solution is going to seem a little weird. So let me explain why it works before I show you. Otherwise you’re just going to think I’m weird. This trick comes from Amy Cuddy. She holds a PHD in behavioral psychology from Princeton, She’s an associate professor at Harvard AND she actually suffered from and recovered from a brain injury. Hat tip to Amy Cuddy for this. The idea is this. When we have certain emotions it shows in our body. You ever see a depressed, whoa is me, teenager walk. Well the interesting thing is it works in reverse. Not only do your emotions affect your posture. But your posture affects your emotions. Don’t believe me. Try standing like a depressed teenager for three minutes. You can pause this if you want to try. Ok, well I hope you didn’t actually do that. Because if you did you probably feel terrible now. Don’t do that again. Open body positions are feel good power poses. We’re going to use the most open pose of all. Jane McConigal, author of “Reality is Broken” calls it Fiero. Everybody does it naturally. It’s universal across all cultures. Because it’s hardwired into us. So we are going to use the victory pose to change attitude. Now for best results you’ll want to hold this position for 3 minutes with a big smile. You can do lots of variations on this. It’s straight crawls alternated with marching in the victory pose. This is going to get some blood flowing to the brain. Stimulate new neuron growth, called neurogenesis, and change attitudes for the better. After doing this you and your child should feel great and be ready to get down to work. Now this is a great trick. I would do this before any homework session. It has some wonderful benefits and should really help. But it’s not the whole solution. If your child is doing too much homework and what they really need to be doing is building up the fundamentals, then you’ll still have a battle on your hands. They need body exercises like this one to get their brain into high gear. That’s why the Learning Success System is designed the way it is. It has all of that. If you are having homework battles. If your child fights you, procrastinates, has the “anything but homework syndrome” then grab your copy of the learning success system.